A pas de deux to tame the unknown and the unfamiliar. A brother and a sister, completely different. He is an ordinary little boy. She is in a wheelchair. She does not speak, she does not walk and she moves in a strange way. Between them there is love and understanding. But most of all, there is a heap of questions. Today is her birthday. What kind of present could she want? What desires are hidden behind the mysterious eyes? What does she dream of, when she’s asleep ? He dreamt of her : she suddenly began to dance. What if the dream became reality ? Then, a ballerina magically appears from the birthday present. The dancer is in shock : who is this girl that has the same name but does nothing like her ? The ballerina will have to be tamed before we can see the mysterious beauty behind her eyes. 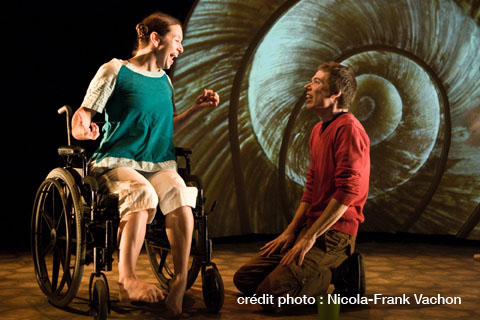 The Snail’s Shadow is a tribute to those bodies that move in a different way, a pas de deux towards discovering the differences of the handicaped people. 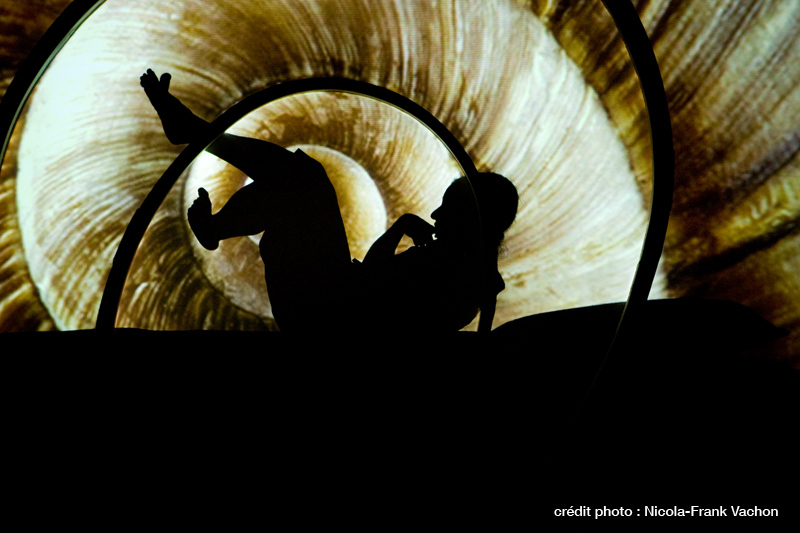 Faithful to the aesthetics of the creation company Nuages en pantalons – compagnie de création, this show talks - in a mixture of shadows, video and movement - of a subject that is rarely approached on stage. Initiated and based on a personal experience by Jean-Philippe Joubert, this theater of images and actors is for a public that is at that age where you find out about differences and when questions about others are most intense. 15 performances was played in Calgary and Saint-Albert in May 2013. 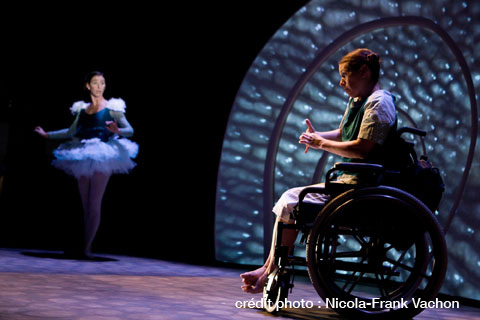 This theatre company from Quebec City is distinguished by its boundless imagination and its visual poetry. In addition, its artistic director, Jean-Philippe Joubert, demonstrates ingenuity with his undeniable ability to create powerful images with very little. (…) the company offers us an original and refreshing production, where bodies speak as much as words. 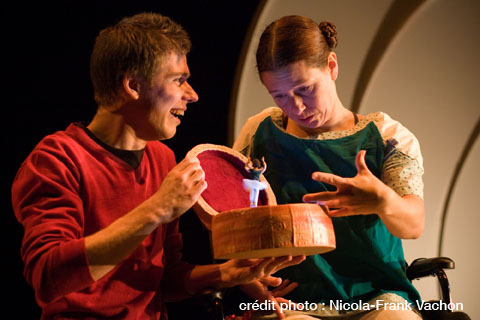 When theatre for young audiences reaches this level of greatness and intensity, you can't afford to miss it!